Markell Williams, stage name Kellz, and Racardo Davis, stage name Kardo, met in November 2012 on the campus of Claflin University in Orangeburg, South Carolina. Markell had produced two independent mix-tapes the year before and heard that Racardo was a producer, not knowing that he raps as well. Racardo had already established his own label called Royalty Rekords when Markell randomly sent Ricardo a link to his music. Racardo kept saying that he would check the music out but every time Markell sent the file, it was corrupted. Racardo thought Markell was just pulling his leg but even though he had not heard his music yet, he asked him to become a part of Royalty Rekords. Markell never took the invitation to join the label; January rolls around Markell shows up in the studio. Racardo gave Markell the “Dollar and a Dream” beat and he wrote the lyrics on the spot. Racardo was impressed with the work of Markell and knew that he was going to be a great aspect to the Royalty Rekords label. A couple of months later, Markell and Racardo started working on projects together. 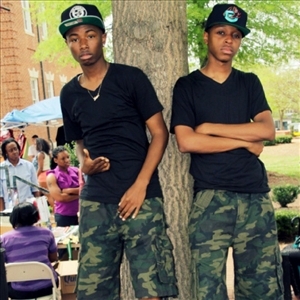 Their first project was the performance of their debut single, “A Dollar and a Dream,” in April 2013 at Claflin’s Arts and Letters Annual Bash (CALA-Bash). Their music was admired by Claflin students, staff and people of the community. The next project was their performance of the “A Dollar and a Dream” single on campus that next week. They performed in the Middleton Fine Arts Center as the opening guest performers for the Comedy Show featuring the host comedian, Jay Dukes. Jay Dukes and other comedians from out of town were very pleased with their performance. That night, the Royalty Rekords label dropped their “A Dollar and a Dream” mix-tape. From there, Kellz and Kardo, along with Royalty Rekords, began to `receive invitations to perform in other areas in state and out of state. Kellz & Kardo complement each other very well. Their delivery, flow, content, presence, and passion are what bring them together and make them Dream Chasers. They are both hardworking with a great deal of ambition and both know what good music is. They study and feed off of their favorite artist, but while doing so, they also focus on their audiences. Kellz and Kardo target the teenage male population who need motivation to do positive things in their lives. No matter what age, race, or gender, everyone is able to vibe with their music. Racardo reminisces the beginning of the duo, “After I left C.H.A.O.S., I was looking for something new and someone to connect with through my music. And Kellz always wanted to be in a group. So we talked and it just seemed perfect that we had the same vision.” Now Markell and Ricardo are working on more projects and they’re more determined than ever to make their dreams come true. The definition of a Dream Chaser: anyone with a passion and a drive to go after and fulfill their purpose…Kellz and Kardo exhibit these elements in everything that they do, especially in their music.